Adnan Aamir is an Award-winning Journalist, Online Newspaper Editor, Columnist, Blogger and a Social Media Practitioner working and living in Quetta, Pakistan. At the moment, He writes for Leading Pakistani English Newspaper The News International as a columnist, for The News on Sunday as freelance journalist, For Balochistan Inisde Magazine as correspondent, for The Nation as a blogger and feature writer. He is also the founder and Editor of Balochistan Voices, premier English-Language online newspaper of Balochistan. He also works as the Editor of Balochistan Inside Magazine. In the past, He has also worked as Editor of Balochistan Point for almost 18 months. He is an active social media practitioner and operating multiple social media accounts include His own Facebook page and Twitter account, Facebook page and Twitter account of Balochistan Voices and Facebook page of Balochistan Inside Magazine. Adnan Aamir was declared Journalist of the year in category of reporting on Business and Economy in Agahi Awards 2016. Adnan Aamir belongs to Kardigap Tehsil of District Mastung. He holds a Bachelor’s Degree in Economics and a Master's Degree in International Relations from University of Balochistan. He also has completed certification courses in Journalism and Web designing . 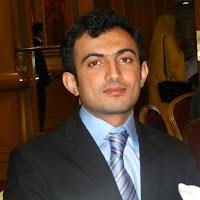 Profile of Adnan Aamir can also be viewed at Linked in.